At the FOS Annual Meeting on February 15th, 2019 election for the Board of Directors was held and the slate of Officers and Executive Committee were appointed. FOS saw transitions, with three new members added and three members, in addition to Amb. Russell and Mr. Senko, departing. The new members welcomed to the Board are Dr. Elizabeth Guran, Dr. Martina Hrvolova and Dr. Ceclia Rokusek. FOS expresses appreciation and best wishes to its departing board members, Dr. Sharon Fisher, Dr. Eva Jenkins and Mr. David Blazek. Marking the transition in leadership, the Board appointed new officers for 2019. 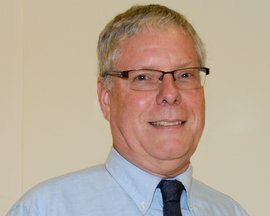 Scott Thayer, a career Foreign Service officer and former Chargé d’affaires in Bratislava, was appointed FOS Chairman. Ken Bombara and Lillian McEnany will continue as Vice Chairman and Secretary, respectively, and Tom Skladony was appointed Treasurer. Roger Kodat, Richard Marko and Jan Surotchak were appointed to join the officers on the FOS Executive Committee. At the meeting, the Board also presented Amb. Russell and Mr. Senko with a plaque honoring their service to FOS. 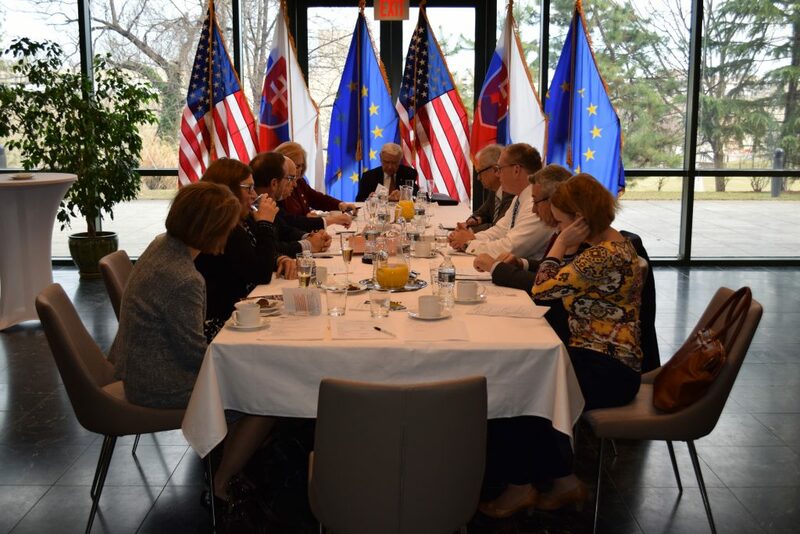 The new Board and Executive Committee look forward to building on FOS’ outstanding accomplishments as it moves into a new era in support of U.S. – Slovak friendship. 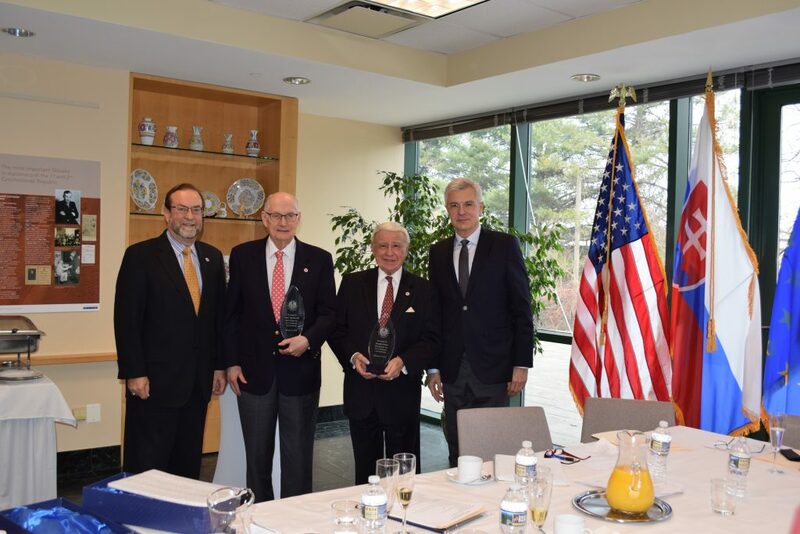 New FOS Chairman, Scott Thayer presents plaque honoring their service to Amb. Russell and Mr. Senko, with Amb. Korcok looking on. FOS Board holds its Annual Meeting. Slovak Foreign Minister Miroslav Lajčák has selected Friends of Slovakia (FOS) Founding Chairman, Amb. 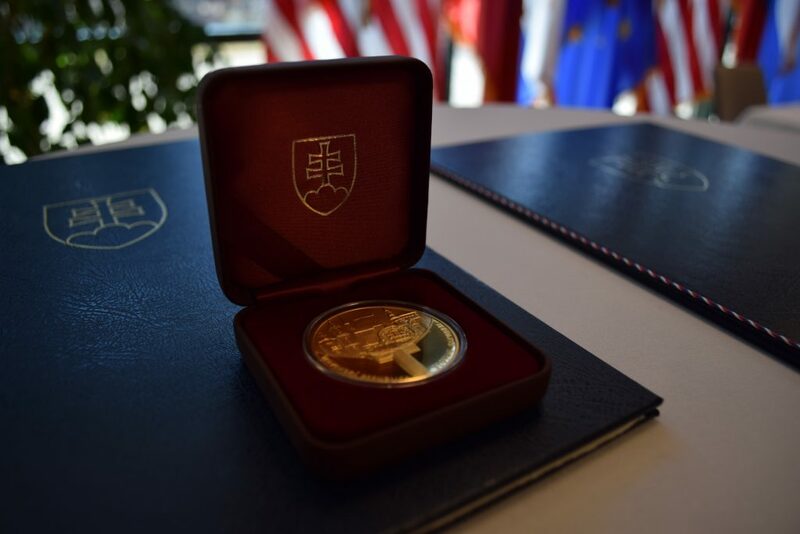 Theodore Russell, and Board Chairman, Joseph Senko to receive the prestigious Golden Medal of the Minister of Foreign and European Affairs of the Slovak Republic. 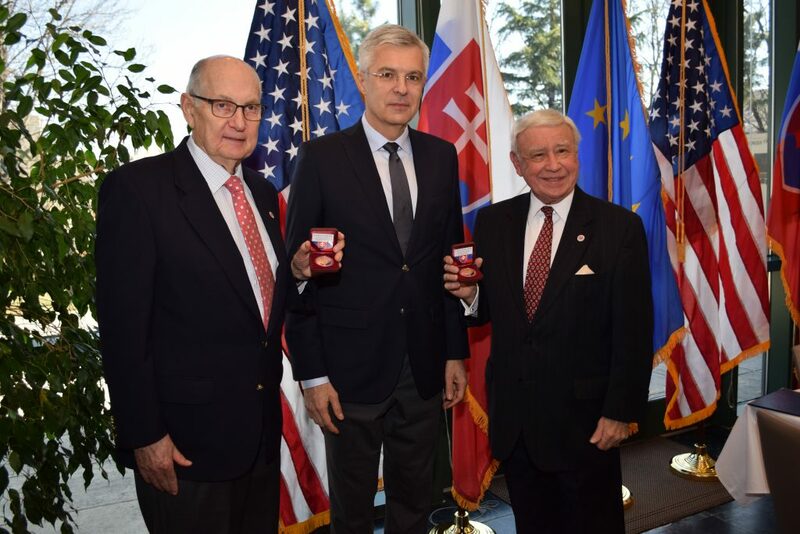 The medals were presented to the two recipients on Feb. 15, 2019 by Slovak Ambassador Ivan Korčok, prior to the Annual Meeting of the FOS Board of Directors, at the Slovak Embassy in Washington. In his remarks, Amb. 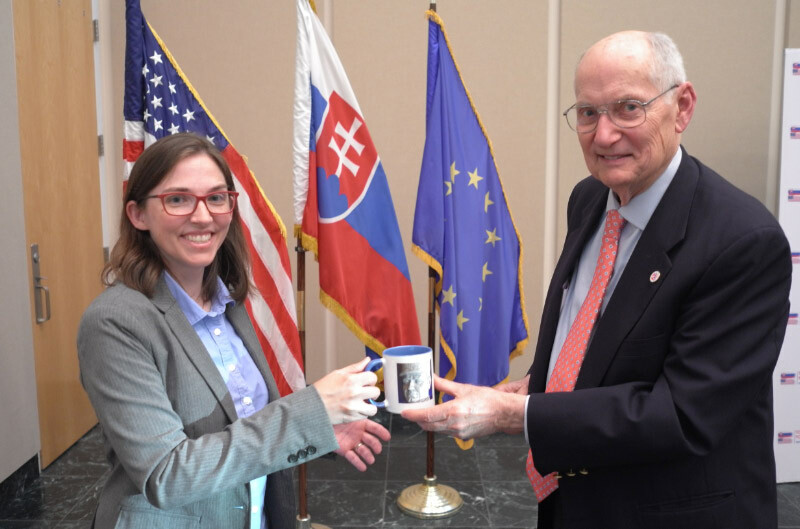 Korčok cited the outstanding work of both recipients in promoting the democratic aspirations of Slovakia and Slovak – U.S. relations and friendship. Amb. Russell’s long career in the U.S. Foreign Service was capped by his becoming the first U.S. ambassador to the newly independent Slovak Republic. He went on to help found the Friends of Slovakia, which advocated for Slovakia’s integration into NATO and other Western institutions, and which continues to support U.S.- Slovak relations. 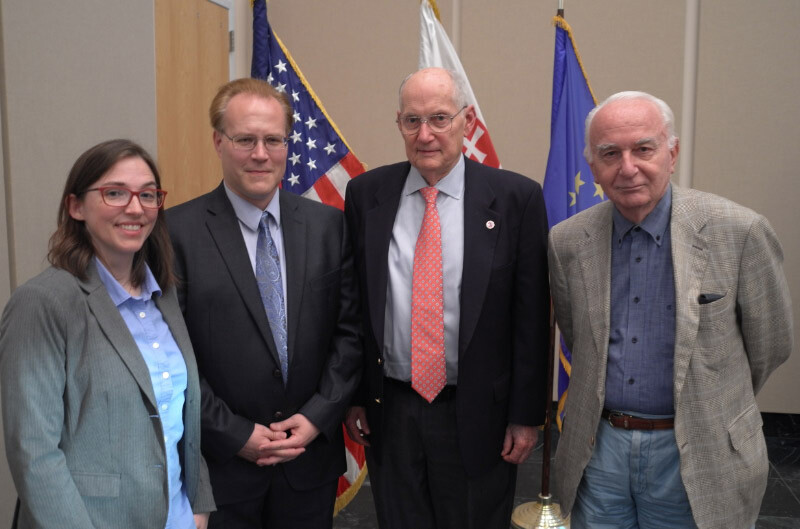 Mr. Senko has had a long-career as an advocate for Slovak –American solidarity and for U.S.-Slovak friendship, in serving as Slovak Honorary Consul for Pennsylvania, as well as Chairman of FOS. He also has been active in the Slovak American fraternal organizations, and founded the Western Pennsylvania Slovak Cultural Association (WPSCA). The Golden Medal award is a fitting tribute to these two individuals as they step down from their long service on the FOS Board of Directors, while they will stay engaged with the organization. Amb. Korcok presenting the Golden Medal Award to Amb. Russell and Mr. Senko. Golden Medal of the Minister of Foreign and European Affairs of the Slovak Republic. Friends of Slovakia is sad to learn of the passing of former Amb. 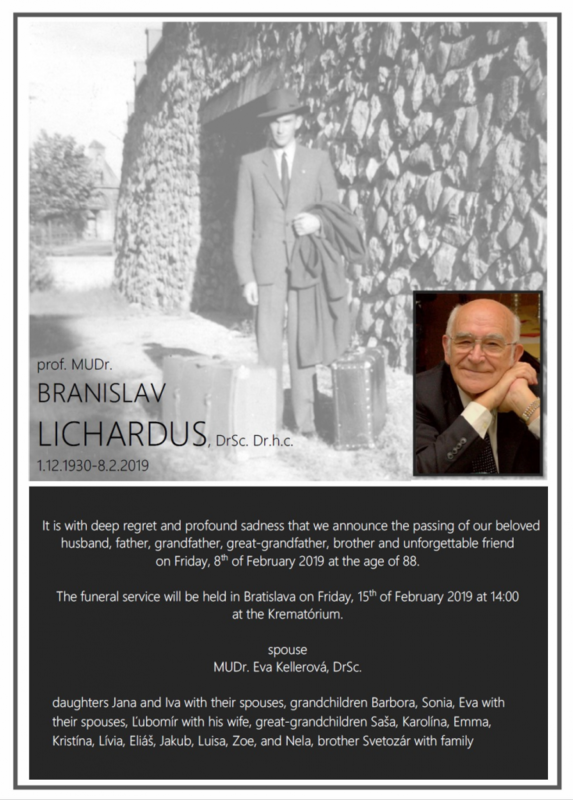 Branislav Lichardus, on Feb. 8 at the age of 88. Dr. Lichardus, a noted medical doctor and researcher, became the first Slovak ambassador to the U.S. following Slovakia’s independence in 1993. He served successfully in Washington from 1994-1998, a particularly challenging time for U.S – Slovak relations. Upon returning to Slovakia, he subsequently served as Rector of Vysoká škola manažmentu (VSM), a private university affiliated with City University of Seattle, with locations in Bratislava and Trenčín. Dr. Lichardus also served on the Board of Advisors of Friends of Slovakia. We extend our condolences to his spouse, Dr. Eva Kellerová, and the family. Funeral services were held on Friday, Feb. 15 in Bratislava. We are fortunate to have as our distinguished speaker former Slovak Prime Minister Mikuláš Dzurinda (1998-2006), whose far-reaching governmental reforms enabled Slovakia to enter NATO and the European Union in 2004. He is currently President of the Wilfried Martens Centre for European Studies, the official think tank of the European People’s Party based in Brussels. Friends of Slovakia (FOS) again this year was one of the sponsors of this Center for European Policy Analysis CEPA Forum concerning security issues involving particularly Central Europe, NATO and Transatlantic cooperation. 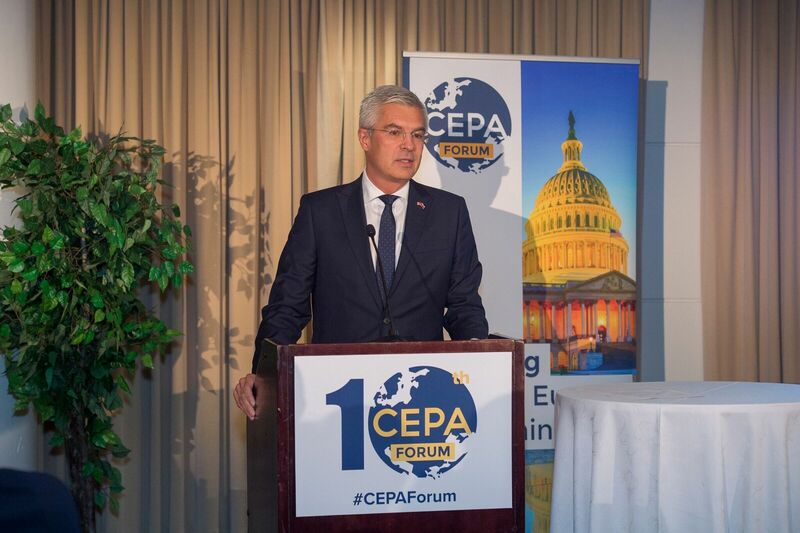 This year the CEPA Forum was organized under the auspices of the Slovak Presidency of the Visegrad Group (Slovak Republic, Czech Republic, Hungary & Poland) and included presentations by Slovak Foreign Minister Miroslav Lajcak and Slovak Ambassador to Washington Ivan Korcok. A number of FOS Board members and supporters attended. 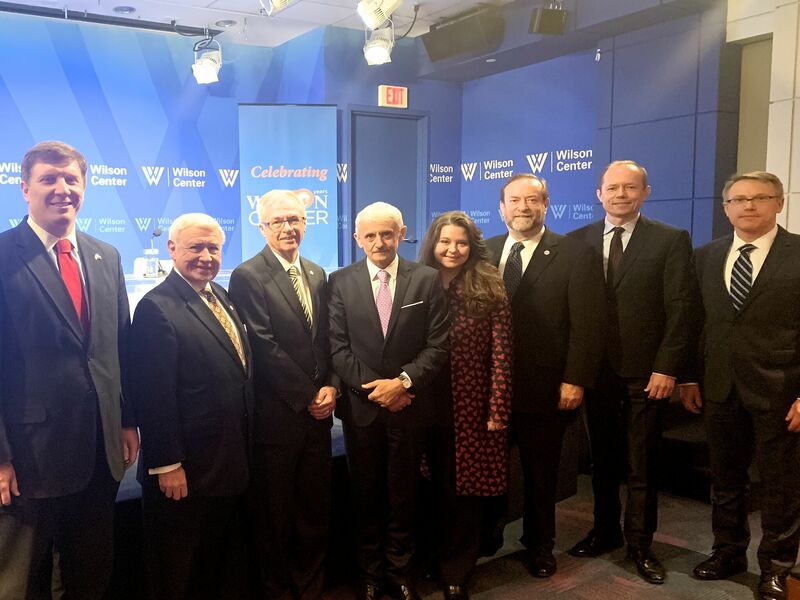 FOS is pleased to draw your attention to this excellent summary of the Forum presentations prepared by CEPA, the leading think tank in Washington with respect to Central European and Baltic security issues. 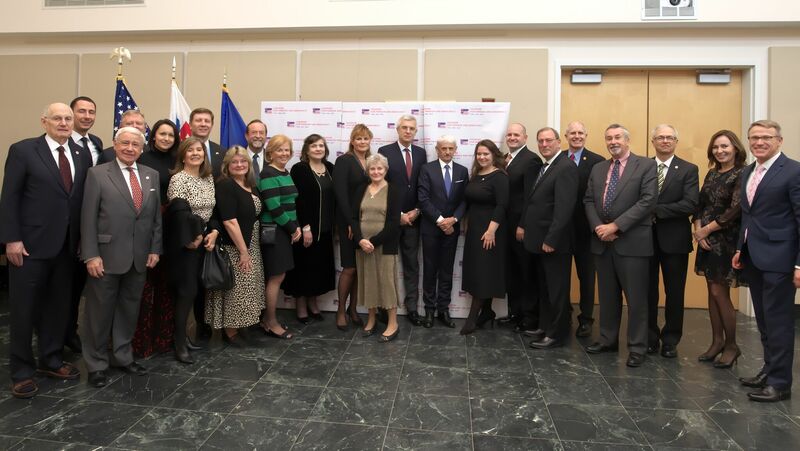 The Slovak American Society of Washington, D.C.